Oji Paper, one of the world’s largest pulp and paper companies, is moving into the Mekong Region. Oji Paper has established large-scale industrial tree plantation projects in Laos, Thailand and Vietnam. Here and elsewhere in the world the results are deforestation and destroyed livelihoods as the company replaces villagers’ forest and common land with its monocultures. By Chris Lang. Published in Watershed Vol. 11, No. 2, November 2005 – June 2006. Founded in 1873, Oji Paper has grown to be the sixth largest paper company in the world. In 2005, the company produced more than eight million tonnes of paper and board. In the financial year that ended in March 2006, Oji Paper had sales of more than US$10 billion and made a profit of about US$180 million. The company has about 20,000 employees. Oji Paper operates 19 paper mills in Japan and has over 120 subsidiaries around the world. The company is Japan’s largest landowner. Oji Paper was the first company in Japan to use western paper-making technology in its mill at Oji, which started production in 1875. Since that time the company has grown to become a major force in the pulp and paper industry, first in Japan and then worldwide. After buying a series of companies including Fuji Paper, Oji Paper produced 80 per cent of Japan’s paper before World War Two. After the war, during the Allied occupation of Japan, Oji was split into three companies: Jujo Paper, Honshu Paper and Tomakomai Paper (Tomakomai was renamed Oji Paper Industries soon after the split). During the 1960s these three companies planned to merge, but the move was opposed by Japan’s Fair Trade Commission. The 1960s saw a series of strikes and lockouts in protest against cutbacks in Oji’s workforce, which were part of the company’s modernisation programmes. During the 1970s, Oji bought Kita Nippon Paper and Nippon Pulp Industry. In the early 1980s the pulp and paper industry in Japan was in bad shape. “The industry has built too much capacity and we are telling them to stop,” Nobuaki Terasaka, an official in the Ministry of International Trade and Industry, told Business Week in 1981. But as Japan’s economy boomed in the 1980s, Japan’s paper-making capacity continued to increase – by 76 per cent between 1982 and 1991. The industry started up production at much of this new capacity just as the Japanese economy slowed and demand for paper collapsed in the early 1990s. In 1992, the Economist magazine pronounced the Japanese paper industry dead. Paper makers were operating at 65 per cent of capacity. Even so, stocks of paper were rising fast. Profits of most paper companies fell. Oji Paper tried to buy its way out of the crisis. In 1993, it bought Kanzaki Paper and became Japan’s biggest paper manufacturer. The company was renamed New Oji Paper. Japan’s pulp and paper industry started to recover in the mid-1990s. In 1995, New Oji Paper bought Honshu Paper, which had been split off from the Oji Paper Group after the Second World War. The company assumed its old name of Oji Paper. At the end of 1995, Oji Paper announced plans to spend US$1.4 billion on yet more capacity expansion. The recovery in paper demand didn’t last long. A slow economy meant weak demand as the industry’s new capacity came on stream. As a result paper prices slumped once again. “Japan’s paper companies are going through the shredder and they have only themselves to blame,” commented the Financial Times in 1997. After starting up a new 240,000 tonnes a year coated paper machine in 1997, Oji Paper announced that it planned to cut its workforce by 20 per cent by March 2000. In 2001, Oji Paper announced another round of layoffs. The following year Oji Paper announced that it would invest US$2.8 billion over the next four years. At the same time, the company aims to reduce its workforce by 3,600 people. After three years of patchy economic recovery Japanese companies are “again on the prowl” as the Financial Times put it in 2005. Oji Paper claims that it is providing a service. “Today papers are essential vehicles for our culture, lifestyles, and industries. Therefore, we believe that it is our mission to satisfy the growing paper demand in many possible ways,” Shoichiro Suzuki, the company’s president, writes on Oji’s website. It’s probably true that computer manuals, advertising, mail order catalogues and pulp fiction are indeed “essential vehicles for culture, lifestyles and industry” in the industrialised North. But in many countries of the South, rural communities have seen their culture, lifestyles and forests destroyed to make way for industrial tree plantations to serve the pulp and paper industry. Oji Paper has long relied on imports of raw material to keep its Japanese mills going. In 1971, the company started construction of the Pan Pac pulp mill in New Zealand. Oji Paper’s largest overseas operation is Celulose Nipo-Brasileira SA (CENIBRA) in Brazil. Established by Japan Brazil Paper and Pulp Resources, a joint venture involving 18 Japanese companies, and Companhia Vale do Rio Doce, CENIBRA began producing pulp in 1973. In 2001, the Japanese companies took over full ownership of the company and today Oji Paper owns 39.5 per cent of Japan Brazil Paper and Pulp Resources. Today, Oji Paper has the largest area of overseas plantations of any Japanese company. The company has over 140,000 hectares of overseas plantations and aims to have 300,000 hectares by 2010. But the wood purchasing policy makes no mention of the company’s research into genetically engineered trees (see box Oji and GE trees). In 2004, Oji Paper imported 73 per cent of its raw material. Of this, 72 per cent came from plantations of which eight per cent were owned by Oji Paper. A total of 15 per cent of Oji Paper’s imports came from certified forestry operations. 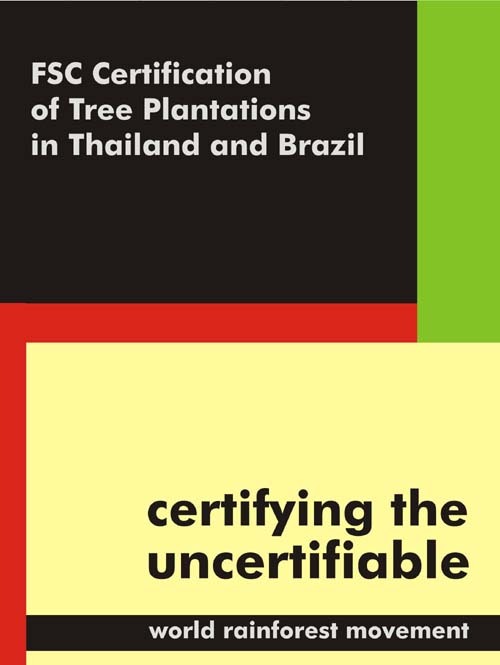 The company’s wood purchasing policy states that Oji will “work to acquire certification for all forests [sic] in our overseas plantation operations”. While all this may sound reassuring, a closer look at some of Oji Paper’s overseas operations reveals a somewhat different reality. In 2000, the Nikkei Weekly reported that Oji Paper’s Forestry Research Institute is researching the technology to produce pharmaceutical materials from eucalyptus trees using genetic engineering. The researchers aim to create eucalyptus trees that will produce a range of chemicals that can be used to make perfumes and pharmaceuticals. “In the future, trees will serve not only as a source of pulp but also as chemical factories,” a researcher at the institute told the Nikkei Weekly. In 2001, Asian Economic News reported that Oji Paper was set to start planting 500 hectares in Sichuan province with poplar trees genetically engineered to be resistant to mice. In 2003, the Asahi News Service reported that researchers at Oji Paper’s Forestry Research Institute, in cooperation with Gifu University, have inserted genes from carrots into eucalyptus trees, to allow the trees to grow in acidic soils. Oji is conducting further trials of the trees in a massive domed facility in the US. Oji has genetically engineered eucalyptus trees so that lignin is easier to remove. 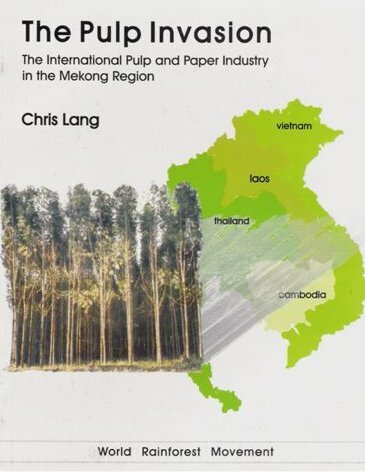 In 2001, the Nikkei Weekly reported that “Oji Paper began outdoor tests with GM eucalyptus in Vietnam in 1998, and now has 1 hectare (2.47 acres) planted. The company plans to fell the forest at the end of the year and conduct a comprehensive evaluation of the trees, including their environmental impact”. Oji Paper is one of three Japanese companies that buys wood chips from Tasmania, Australia, the other two being Nippon Paper and Mitsubishi. Tasmania’s wood chip trade is dominated by Gunns, a company which continues to log Tasmania’s old-growth forest. 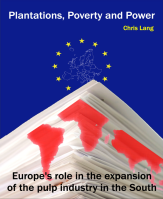 In May 2004, Mitsubishi agreed to “switch to secondary and plantation forests for woodchip sources as soon as possible”. Oji Paper refuses to even discuss such a move. In February 2005, Oji Paper, Mitsubishi and Nippon Paper refused to meet with Tasmanian Green Senator Bob Brown, arguing that he is a defendant in legal action taken by Gunns. In a move widely seen as an infringement of freedom of speech, Gunns is suing Brown and 19 others for protesting about Gunns logging activities in Tasmania. But the Oji Paper Group’s most egregious involvement in environmental destruction is in Papua New Guinea. In the late 1960s, Honshu was the first company to successfully produce corrugated packing materials from hardwood chips. This opened up the possibility of pulping the rainforests. In 1974, a subsidiary of Honshu, Japan and New Guinea Timber Company (JANT), started exporting chips from forest in Papua New Guinea to Honshu’s pulp mills. By the end of 1983, JANT had cleared about 37,000 hectares of forests in Madang province. The impact on people living in the area was devastating. Malong Kuerinad lived in Gogor Valley before the loggers arrived. “Huge monsters came”, was how he described the arrival of the logging crews. “A Japanese paper company cut down all the trees in our forest”, he told the Mainichi Daily News. “My father said to the company, ‘At least don’t cut down this part of the forest, for my sons’ sake.’” The company ignored him. Oji Paper maintains that it establishes its plantations “in areas previously devoid of trees, such as pasture or wasteland”. In Papua New Guinea this is clearly not the case. Since April 2004 JANT is no longer owned by Oji Paper. But JANT continues to supply Oji Paper with woodchips from its plantations established on clearcut forest. Mitsubishi and Oji Paper are joint owners of Alberta-Pacific Forest Industries (Al-Pac), a 640,000 tonnes a year pulp mill in Western Canada. The mill is Canada’s newest single line bleached kraft mill. In September 2005, 5.5 million hectares of Al-Pac’s total of 5.8 million hectares of forestland were certified under the Forestry Stewardship Council (FSC) system as well-managed. This is the largest FSC-certified operation in the world. Yet SmartWood’s assessors spent only 12 days in the field auditing Al-Pac’s operations in November 2004. That’s pretty good going – around half a million hectares a day. FSC certification of Al-Pac’s operations excludes almost 300,000 hectares of oil sands mining. This activity involved removal of forest and soils to extract the oil sands. Al-Pac requested that SmartWood should not audit this part of their operations for compliance with FSC’s principles and criteria. SmartWood agreed. In February 2004, another Oji Paper operation received FSC certification after an assessment by SmartWood. New Oji Paper and Itochu Corp established the Southland Plantation Forest Company in 1992 in New Zealand. Fuji Xerox bought a 19 per cent share in the company in 1996. By the end of 2004, almost 10,000 hectares had been planted. In March 2005, Oji Paper’s President and Chief Executive Officer, Shoichiro Suzuki, travelled to New Zealand to take part in a ceremony marking the first shipment of 11,000 tonnes of wood chips from Southland Plantations. Southland has bought up farms and converted the land to monoculture eucalyptus plantations. In 2000, a local organisation called Sustainability of Rural New Zealand, commissioned researchers at Lincoln University Agribusiness and Economics Research Unit to produce a report comparing the effects of eucalyptus plantations with pastoral farming. The report found that plantation companies employ fewer people than farmers (37 jobs per 1,000 hectares for plantations, compared with 50 jobs per 1,000 hectares for farming). 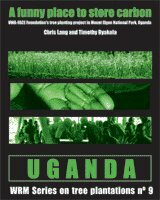 They also found that with the advent of industrial tree plantations, community facilities and schools were endangered. “We hate seeing it destroyed by a multinational company whose people don’t live here and contribute nothing. We’re trying to arrest this before the district is buggered,” local farmer Ken Buckingham told The Listener newspaper in 2001. Sustainability of Rural New Zealand demanded to know how this investment could be in the “national interest”. Shortly after the report was produced, the government changed the rules on foreign buying of land and required “national interest” benefits to be both substantial and identifiable, The Listener reported in 2004. But Oji doesn’t get everything its own way. In 1997, the company tried to set up operations in Hawaii when around 10,000 hectares of government-owned land became available on the Hamakua coast of Hawaii. A lively local campaign against Oji’s proposed plantations was successful. In November 1997, after a series of public meetings and protests against the plans, the State Board of Land and Natural Resources rejected the plan to lease the land to Oji Paper. Oji Paper’s first attempts to expand in the Mekong Region were equally unsuccessful. During the 1980s and 1990s, major rural protests against eucalyptus plantations in Thailand meant that Oji found the country a difficult place to establish plantations. In an interview with the Financial Times in 1989, Toru Yoshino, Managing Director of the Corporate Planning and Administration Department at Oji Paper put this down to “cultural differences”. The newspaper reported that “Japanese companies are paying to plant eucalyptus trees in Thailand, but the local farmers do not have the organisation nor the business perspective needed to make the project viable.” In fact, local farmers were very well organised – protesting the impacts of monoculture eucalyptus plantations on their land. Oji Paper (Thailand) has a factory in Si Maha Pho in Prachinburi province. The factory employs 215 people and produces paper and packaging cardboard. In September 1998, Oji Paper bought 5.5 per cent of shares in Advance Agro, one of Thailand’s largest producers of printing and writing paper, with a capacity of 500,000 tonnes of paper a year. In 2004, the Financial Times reported that Oji Paper was considering building a plant in Thailand, but this has so far come to nothing. Perhaps as a result of its failure to plant in Thailand, Oji Paper turned to some of Thailand’s less democratic neighbours. In 2005, Vietnam Economy reported Kuniaki Baba, Director of Quy Nhon Plantation Forest, as saying that the company’s plantation project had come to a standstill because the company could not lease any additional land. In 1991, before Oji Paper started the Quy Nhon Plantation Forest, it established two trial plantations in Song Be province in the south of Vietnam. A large part of the site preparation costs went on clearing the existing trees and shrubs from the site. Once the trial was established termites proved to be a problem, destroying 14 per cent of the trees in the first year. The solution was to spray DDT, a highly toxic pesticide. In fact, spraying DDT was approved in the company’s guidelines for killing termites in tree plantations in Vietnam, despite the fact that DDT is banned in many countries. Oji Paper’s most recent expansion in the Mekong Region is in Laos. In February 2005, Oji bought up BGA Holdings Asia, a holding company which held 85 per cent shares in BGA Lao Plantation Forestry Ltd. The Lao Government owns the remaining 15 per cent of the company. The total concession area is 150,000 hectares, of which 50,000 hectares is to be planted with industrial tree plantations, primarily eucalyptus. To date about 2,000 hectares has been planted. The target for 2006 is 4,000 hectares with a further 7,000 hectares to be planted in 2007. Already, serious impacts from Oji Paper’s plantations can be seen. Villagers in Hinboun district who have already seen their fisheries destroyed by the Theun Hinboun dam, an Asian Development Bank-funded hydropower dam, are now seeing Oji Paper convert their swidden fields to eucalyptus plantations. Oji Paper is reported to be investigating the possibilities of gaining financing for its plantations operations in Laos through the Kyoto Protocol’s Clean Development Mechanism. In 2000, officials from Oji Paper were part of a delegation of Japanese paper manufacturers that took part in the UN Framework Convention on Climate Change climate negotiations in The Hague (COP-6). They took part in order to push for the inclusion of tree plantations in the Clean Development Mechanism. The Japanese Economic Newswire reported an Oji Paper official saying that “forestation and reforestation are effective ways of cutting CO2 and other greenhouse gases”. This claim is nonsense. No CO2 will be “cut” as a result of Oji’s plantations. If Oji Paper sells ‘carbon credits’ equivalent to the carbon calculated to be stored in its plantations, then whoever buys the credits will emit that same amount of CO2. The only way to cut CO2 emissions is to reduce the amount of fossil fuel burnt. In any case, Oji’s plantations might be destroyed. Insects might destroy the trees. They might burn down. Even if they do survive, the plantations are to be chipped, exported and pulped to produce paper. Paper products have a short life and any carbon absorbed will be quickly released to the atmosphere. The scale of this project clearly illustrates why Oji Paper is interested in large-scale industrial tree plantations and it has nothing to do with absorbing, or storing, carbon. The company needs large amounts of cheap raw material in order to continue to compete in the global market for pulp and paper products. It is not clean. It is not development. It is a mechanism for making money. Paul Abrahams, “Land of the sinking profits”, Financial Times, 8 December 1997. Bruce Ansley, “The last hoedown: As once-thriving country communities turn into social deserts, farmers are challenging the way foreign investment works here”, The Listener, 15 September 2001. 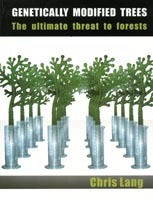 “Forestry plans wither for lack of good land”, Vietnam Investment Review, 17 April 2001. David Ibison, “Japan shakes off legacy of lost decade”, Financial Times, 12 July 2005. “Japanese firm destroying PNG forests”, Mainichi Daily News, 21 November 1996. “Japan’s paper industry; RIP”, The Economist, 25 July 1992. “Land shortages affect FDI in agriculture”, Vietnam Economy, 26 September 2005. 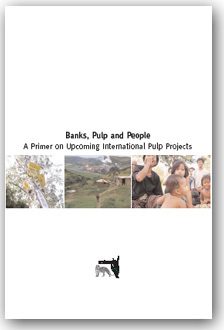 “Meeting the challenge of the Global Market: Oji Paper in Perspective”, Oji Paper, 2002. “Oji Paper Co., Ltd.”, Hoover’s Company Records, 21 February 2006. “Oji takes on Chinese partner for Nantong project”, Paperloop, 2 September 2005. “Paper maker investing to meet rising demand”, Asahi News Service, 26 February 1996. “Paper makers to stress forestation at COP6”, Japan Economic Newswire, 11 November 2000. Mariko Sanchanta and Haig Simonian, “Saia-Burgess explains reasons behind its rejection of Japanese predator”, Financial Times, 5 July 2005. “U.S. paper exports soar as the Japanese slip”, Business Week, 13 July 1981.